I am trying to decide the best way to have a certain amount of content scroll on a mobile screen. Background: I am developing a mobile app for keeping track of your bills and expenses. 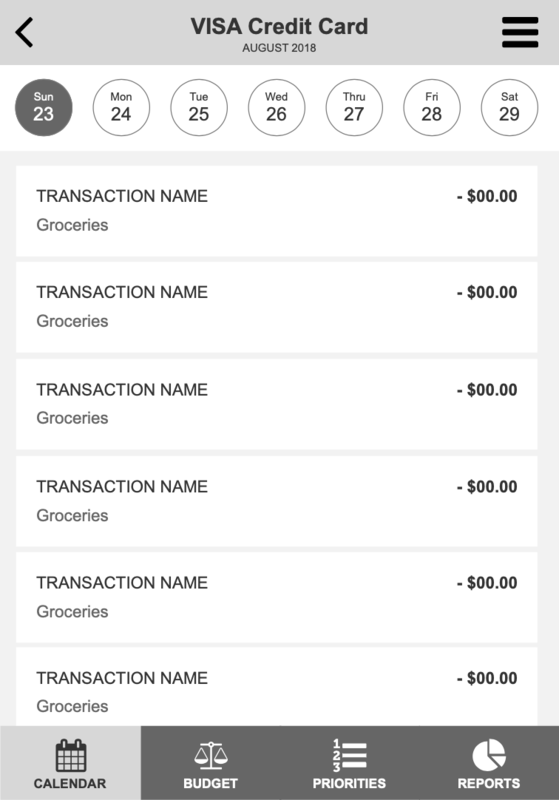 I am trying to create a screen that shows all of the charges the user has made on a credit card during the current billing cycle. Dilemma: For some users this list will be small and can easily be shown on the visible portion of the screen, while for others they will have to scroll to see everything. My Question: I am trying to decide between two basic options. One has the content in a scrollable window, which keeps the CLOSE button on the screen. The other throws all the content into the main screen and you have to scroll down to access the CLOSE button. Which one is better? And why? The user should have access to the "CLOSE" option anytime during the session. However, the CLOSE button should not deter from doing the primary task in the screen (browsing history or purchases) by taking up so much space. I suggest the CLOSE option to be more integrated into the overall app navigation. For example, you could use a back button in the navigation bar (while moving the Menu icon right so it is easier to reach with the thumb). 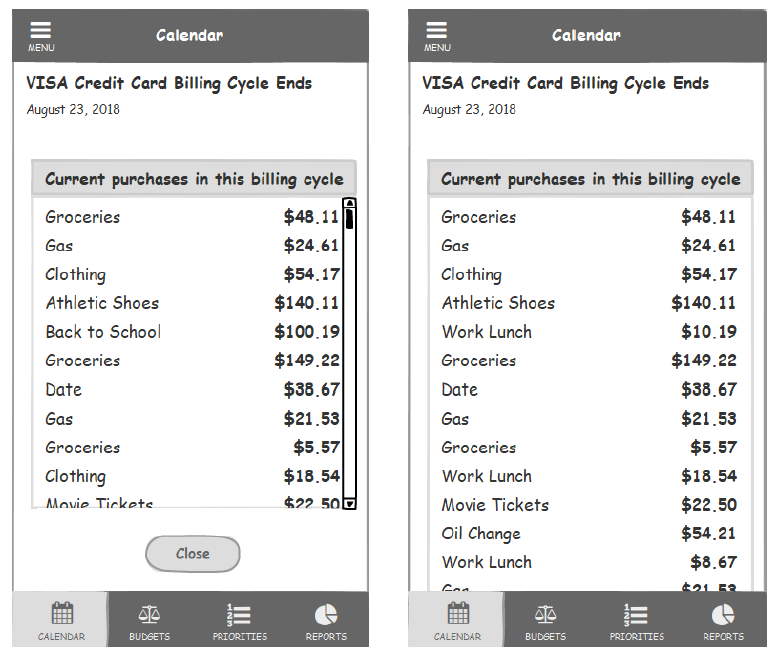 Another observation about navigation is allowing users to view details across dates without having to CLOSE, go back one screen and select a different date. Not the answer you're looking for? Browse other questions tagged mobile-application scrolling or ask your own question. Scroll to load more/infinite scrolling: What amount of content is enough content? What's a good scrolling hint for partial-page content in iOS? Do users instinctively scroll on an app screen with content below the fold?